World Day for Safety and Health at Work is on 28 April and aims to promote the prevention of occupational accidents and diseases globally. It is an awareness-raising campaign aimed at promoting a safety and health culture to help reduce the number of work-related deaths and injuries. Time Management – Make a note of every fleet safety activity you are responsible for on a weekly/monthly basis, then work out how much time is actually needed and assign the time for each activity. Take a couple of minutes to familiarise yourself with each activity prior to working on them and remember to fully commit to each task and keep to the scheduled times to avoid distraction! Vehicle Safety – Develop an action plan that targets the safety and legal compliance of private cars used by your employees on company business (often referred to as ‘grey fleet’). Look carefully at the business trips made by your employees using their own cars. If an employee uses their own vehicle to go to the bank or a training course this could still be classified as a business trip. Ensure that you review the following items within your plan as your company could be liable if the driver and vehicle were involved in a crash. Are you sure the driver has the correct type of business insurance? Have you checked the driver’s driving licence? Is their vehicle safe and legal, e.g. tyres, brakes, lights, windscreen wash, etc.? Does the vehicle have a valid MOT? Does the vehicle match the safety standards of your regular company cars, e.g. age, condition, safety devices such as ABS, ESP, airbags, etc.? Review driving policies and procedures – It is always good to review your current driving for work policies and procedures. Remember to include your front line drivers in the creation of any new procedures and the review of existing policies as very often, they have the best ideas! Develop a simple question set relating to your driving for work materials to test everyone’s understanding (including senior managers) and to identify additional training needs. In addition, perform a review of the incidents during the last 12 months and set some KPIs designed to increase safety and reduce costs. An example would be to reduce incident rates and fuel spend caused by driving by utilising teleconferencing rather than driving to meetings. Working at height – Believe it or not, but falls from height are still the biggest cause of workplace fatalities in the UK. Always make sure that all work is planned while considering “what is the worst that can happen?”. Remember that while working at height you can have both feet on the ground! Above all, avoid complacency – the biggest killer of all! Manual handing – Poor manual handling technique is still the biggest cause of Musculoskeletal Disorders in the workplace, costing an estimated 11.6 million days every year. Chronic back problems can ruin lives forever, so remember to bring out that inner toddler – they’re still the only group of people who always lift correctly because they are not strong enough to lift incorrectly. Avoid slips, trips and falls – These are still the biggest cause of RIDDOR reportable injuries in the workplace. Be aware of your surroundings, change of levels, inadequate flooring, poor lighting, etc. which are all common causes of unnecessary injury. Let’s make sure we all stay at work and out of hospital! For more thoughts, vital health and safety guides, facts and advice, please sign up to SafetyMatters, RoSPA’s free newsletter, and receive their collection of free original ebooks! To learn more about how to prevent and manage musculoskeletal disorders in the workplace – book your place at the Health @ Work Summit on 12 May now! 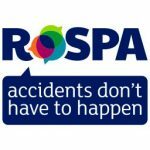 For almost 100 years, RoSPA has been quietly working behind the scenes to change both legislation and attitudes surrounding accidents. From the compulsory wearing of seatbelts and the campaign to stop drink driving, to the Cycling Proficiency Test and to the more recent ban on handheld mobile phones behind the wheel, RoSPA has been instrumental in shaping our society for the better, preventing millions of deaths and serious injuries along the way.